Around 170,000 households in Brazil are now powered with electricity from the Apodi Solar Plant. The 162 MW Apodi Solar plant, operated by Scatec Solar, was Equinor’s first step into solar energy. It is grid connected and in commercial operation. “This is a strategic milestone for Equinor. The Apodi project was our first step into the solar industry. With the plant now in operations and through our excellent collaboration with Scatec Solar, we are complementing Equinor’s portfolio with profitable solar energy. Apodi adds to our portfolio in Brazil, a core area for the company. This also shows that we are well underway on our journey to become a broad energy company turning natural resources into energy for people and progress for society, says executive vice president Pål Eitrheim in New Energy Solutions in Equinor. Equinor signed an agreement to acquire a 40% share in the construction ready project in October 2017. The Apodi asset is located in the municipality of Quixeré, Ceará State in Brazil. The asset holds a 20-year power purchase agreement (PPA) with CCEE, the Brazilian Power Commercialization Chamber. The plant is expected to provide about 340,000 MWh of electricity per year, providing energy for more than 170,000 households. “We have successfully realized our first solar power plant in Brazil and yet again confirming our strong track record as an independent solar power producer. 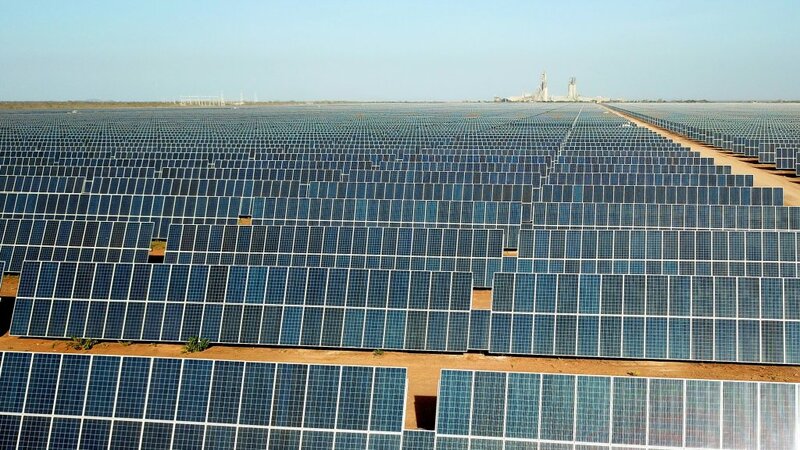 We see significant potential for further growth in Brazil and other parts of Latin America, and we will soon start construction of a new 117 MW solar plant in Argentine in partnership with Equinor”, says Raymond Carlsen, CEO of Scatec Solar. The clean energy produced by the Apodi Solar plant is equivalent to a CO2 reduction of around 200,000 tons per annum. In October 2017, Scatec Solar established a 50/50 Joint Venture (JV) with Equinor to build, own and operate large scale solar plants in Brazil. The JV will be responsible for operation and maintenance as well as asset management of the solar plant. The Apodi Solar plant is owned 43.75 percent by Scatec Solar, 43.75 percent by Equinor and 12.5 percent by the holding company Apodi Participações formed by the Brazilian companies Z2 Power, Pacto Energia and Kroma Energia.